According to Zillow’s real estate data, housing in Baltimore is a “very hot” market. It's also a strong sellers’ market, meaning that the people looking to buy a new home highly exceeds the volume of homes that are currently for sale. This gives you, as the seller, a great advantage. Follow these five steps before you officially list your home to have the offers flying in your door. Because the Baltimore area is so inundated with various neighborhoods and sub-pockets of the city, the first thing you need to do is to determine your ideal buyer. Each sub-section of Baltimore will tend to, at least somewhat, attract a certain type of buyer due to the fact that each area has its own vibrant mini-culture. Find a realtor® in Baltimore who has their finger on the pulse of your specific neighborhood in order to get expert advice on how to market your house properly. Your real estate agent will be a big help in determining how you can best market your home to attract the best offers. The very first thing you should do before putting your house up for sale is find a top-selling real estate agent in Baltimore who will provide you with the very best service and expert advice throughout the process. Effective Agents is a platform that uses a proprietary algorithm that analyzes information to pair you with a list of the area’s top agents who will best meet your specific needs. The initial search for a realtor can feel a little overwhelming due to the volume of real estate agents in Baltimore. Effective Agents allows you to narrow that list to a select few that have a proven track record of success in your area and with homes similar to yours. One of the biggest decisions you can make is to invest in using professionals to alleviate your time. This will allow you to focus on more personal tasks. You would be surprised how important lighting is to prospective buyers. Take the time to walk through every room and really look at how the lighting can transform a room. For example, a room with one bright overhead light can seem harsh. Upgrading that room with multi-level lightings like a floor lamp or accent lamps will make the room feel a lot cozier. Conversely, adding lighting to a darker room can make it appear more welcoming and allow buyers to better take in the space visually. The potential buyer who walks through your house doesn’t want to see it as “your home.” They want to see a house that is as close as possible to a fresh canvas that they can make their own. It may sound a bit harsh, but depersonalizing your house starts the process of the buyer beginning to envision the house as theirs. Removing family photos and downgrading the volume of personal accent pieces can make the home more inviting to buyers. Remember, you can always tuck these things away during the days you're showing the house if you don’t feel comfortable boxing them up while your house is on the market. 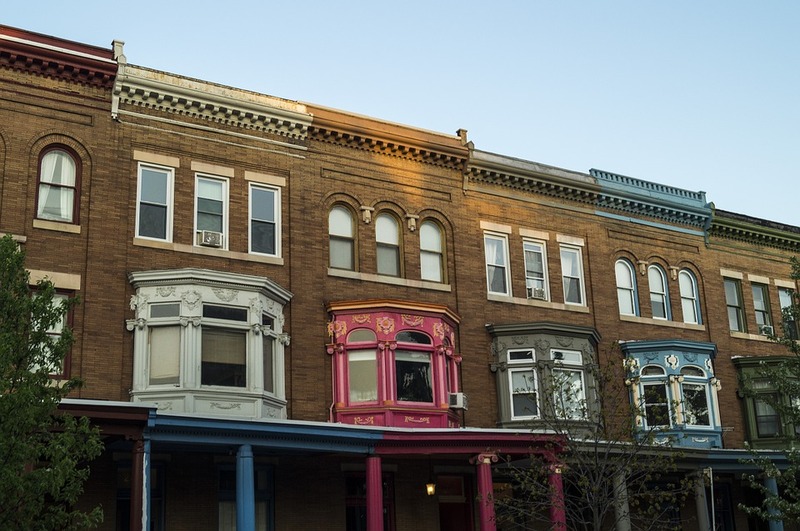 Find more on housing in Baltimore and other real estate news by registering on 410area, your free guide to the Baltimore area.